That means I get a new one. I was thinking about a Janome, because there is an inexpensive one that I want, and I think it would suit my needs rather well. 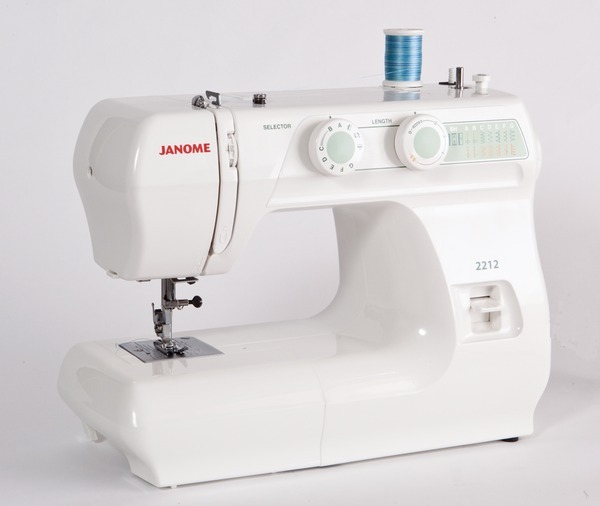 It’s called a Janome 2212. I’m still getting my Mother’s machine, but I kind of want a cheap workhorse to use for quilting. I think it will be a nice machine, and I know Janome makes good quality machines, and I just can’t wait to get one, I’m going to still be looking to see if I can get anything good on CyberMonday, but if I cannot find anything that tickles my fancy tomorrow, I’m going to buy it! I can’t wait! ← I’m Getting My Mom’s Machine!